Hi everyone, how is your week going? Hopefully, it has been as great as mine. Today I want to share a fascinating society at the University of Surrey with you all. This year, I have joined Enactus, they are an internationally powerful community that runs by the student, academic and business leaders. It aims to motivate people extensively with applications of entrepreneurial inspirations. Eventually, it hopes to shape a more sustainable world. Enactus is also a global non-profit institution which provides a platform for university students to create various community-based projects to empower people. I definitely will join all the Enactus Surrey projects if I have more time, but I will explain more details specifically on the two projects that I have joined. Spark, it is a local project that hopes to enhance students’ self-esteem. It aims to increase Kings’ College students’ confidence by conducting various workshops, also targets to increase more business awareness of the students in Guildford. And we will be soon to kickstart our project soon, so stay tuned for my post! Also, Jumpstart provides business skills and related knowledge to unemployed teenagers. Which it aims to improve their employability in job searching process, and encourages them to get back to work. Last year, Jumpstart partnered with YMCA, and it went very well. 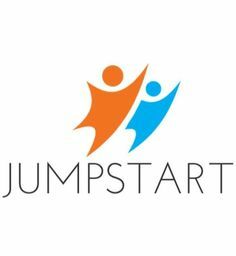 This year, I am looking forward to participating Jumpstart and cannot wait to contribute to this project. They also have amazing global community projects in Surrey, and I will definitely join again next year instead. First is the ‘Source’, this project offers alternative and sustainable lightning to people who are suffering from poverty in the Philippines. Following up the ‘FruitFull Futures’, it aims to solve the seasonal unemployment problem in Malawi for people who work in fruit picking industry. We introduce solar dryer to the mango sellers so they would be able to sell dried mango throughout the year in earning more income. I would definitely recommend everyone to join Enactus, as it can surely to broaden your horizons and able to contribute to global issues. You can also find this society is in several Hong Kong universities. Apparently, it is in HKU, CUHK, HKUST and HKPU, etc. Again, please join them as the experience will be surely rewarding. See you all in the next post then!